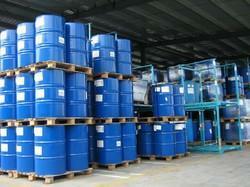 We are engaged in offering a large amount of Bio Insecticide. We manufacture these using advanced techniques under the guidance of our professionals who have deep experience of chemical formulation. Bio Insecticide are used for killing all types of pests. Our offered Bio Insecticides are used to control all kinds of mites in agriculture field. These insecticides offer complete satisfactory result and in minimum time. Looking for Bio Insecticides ?